Tristan Lue DDS (New York) - Book Appointment Online! 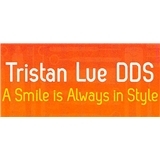 Tristan Lue DDS specializes in General dentistry and Treatment of periodontal disease. In addition, we see patients for Neurotherapeutics, Implants, Cosmetic Dentistry, Oral surgery, Orthodontics and Emergency treatment. We are happy to treat all of your dental needs.